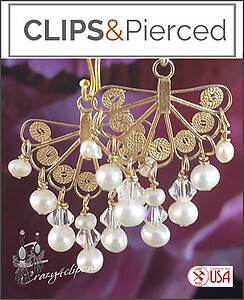 Features: This gold filigree clip earrings have been made hand wrapped. 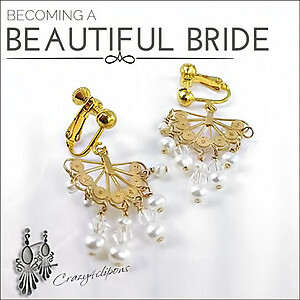 Beautifully embellished with rows of Swarovski crystals and fresh water pearls. 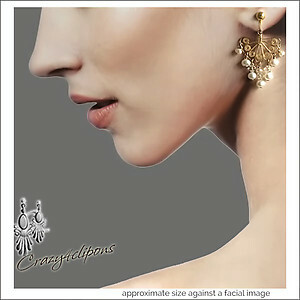 Wear them with your hair in a topknot for maximum impact.